The next Dover Seafest will be held on Easter Saturday – 20th April 2019. This free community event takes place on the Dover Foreshore and runs alongside the annual Port Esperance Sailing Regatta, which provides a wonderful backdrop to the event. Seafest commences at 10am with a Welcome To Country ceremony and what follows throughout the day is a schedule of children’s events and music performances, concluding at 3pm. Seafest is a wonderful showcase for the local aquaculture and fishing industries, with delicious food to sample, demonstrations and displays. 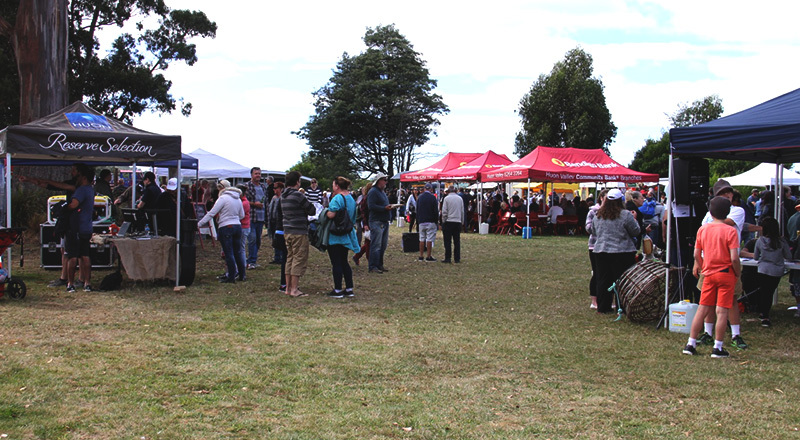 The primary focus is on food stalls specialising in serving seafood, however, there are plenty of other options to enjoy as well as locally produced beer, cider, wine, tea, coffee, cakes, jams, art, handicrafts and other produce. Something for everyone and a great day out for the whole family, with a host of free children’s activities, live music and dance. Why not make a long weekend of it and stay in Dover for the Dover Seafest/Easter long weekend? There’s so much to see and do in the area. There are also some fantastic accommodation options available right here in Dover.